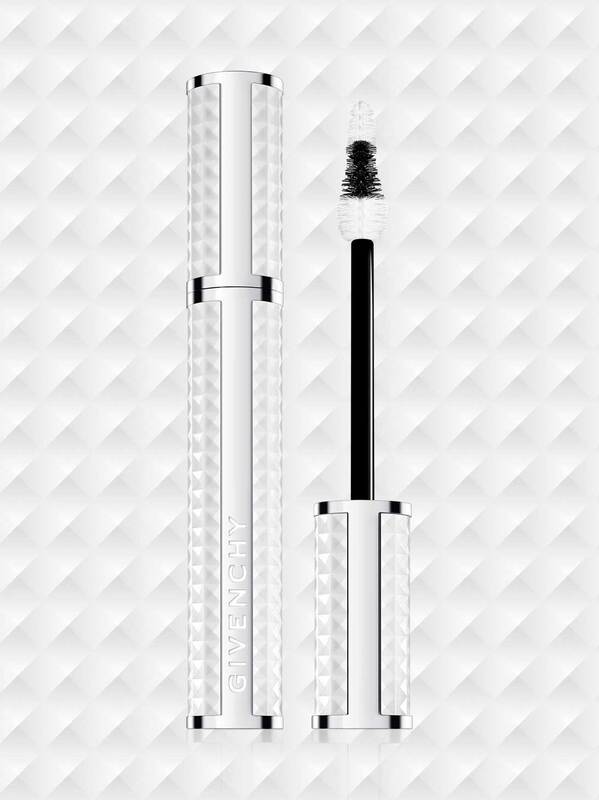 Extreme volume and definition in a waterproof mascara for sophisticated, dramatic eyes. Jewel-like and embossed in the signature Givenchy studs, the NOIR COUTURE VOLUME lacquered white case is a truly luxurious accessory. Enriched with Lash Booster Expert Complex: Oxazolidone protects the lashes and restructures. Artemia Salina extract revitalises them. Silica micro-beads filled with keratin bring immediate volume.